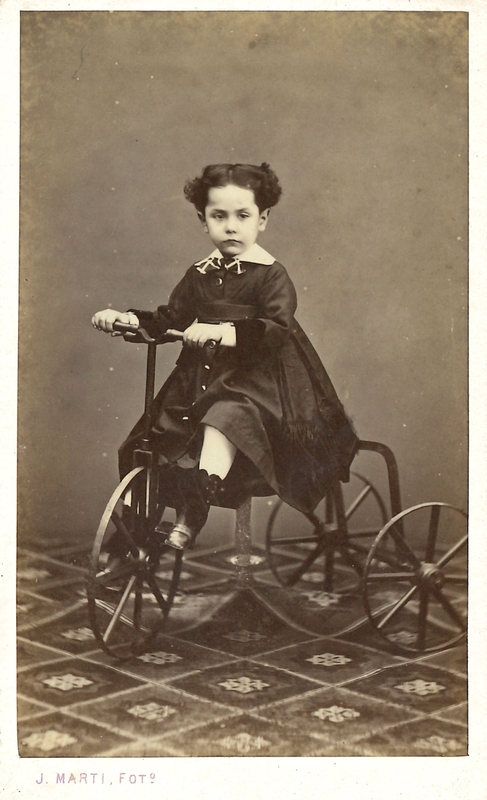 Until the mid nineteenth century, the possibility of having a portrait was a privilege within reach of very few people. 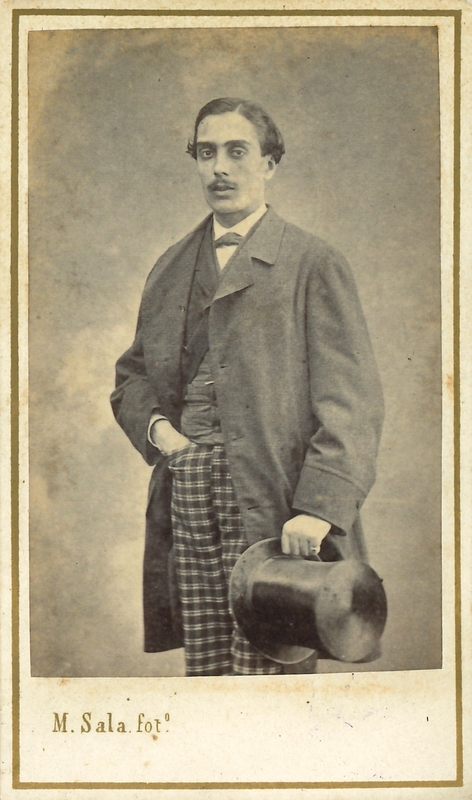 The bibliography for the history of photography points to the direct link between calling cards and the boom in the fashion of the photographic portrait that took place in the second half of the nineteenth century. 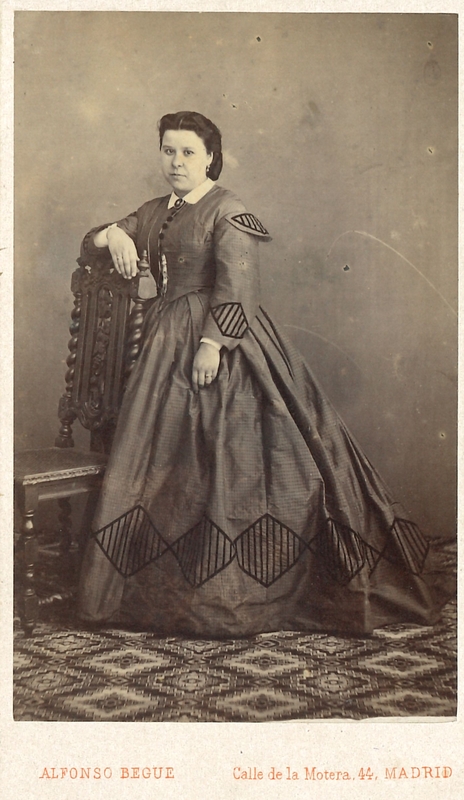 Two other innovations also contributed to the success of the portrait: albumen paper and wet collodion. 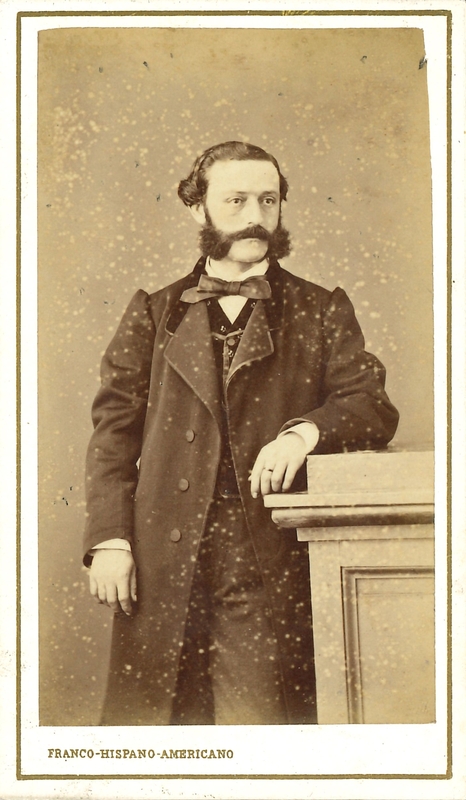 The calling card, also known as the carte de visite, is a photographic format that became popular thanks to André Alphonse Disdéri who in 1854 registered a system for improving photographic techniques. 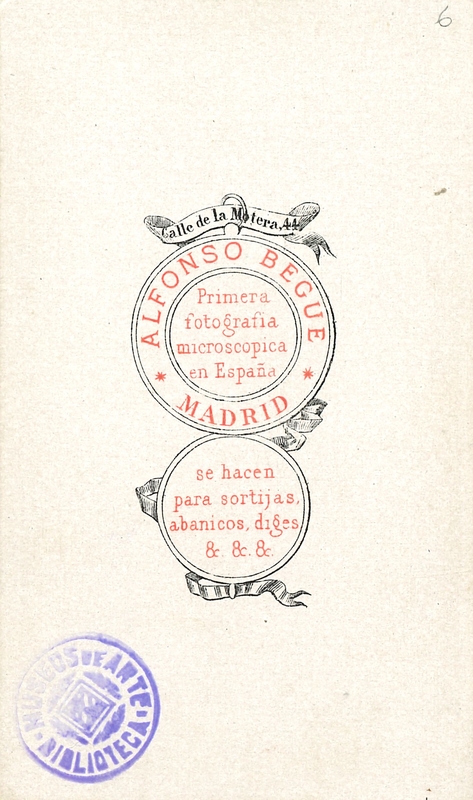 The new technique consisted of using a camera –with six, eight or more lenses – that sensitized a different area of a wet collodion plate to obtain several images of approximately 54 mm x 89 mm in a single session, identical or in different positions. 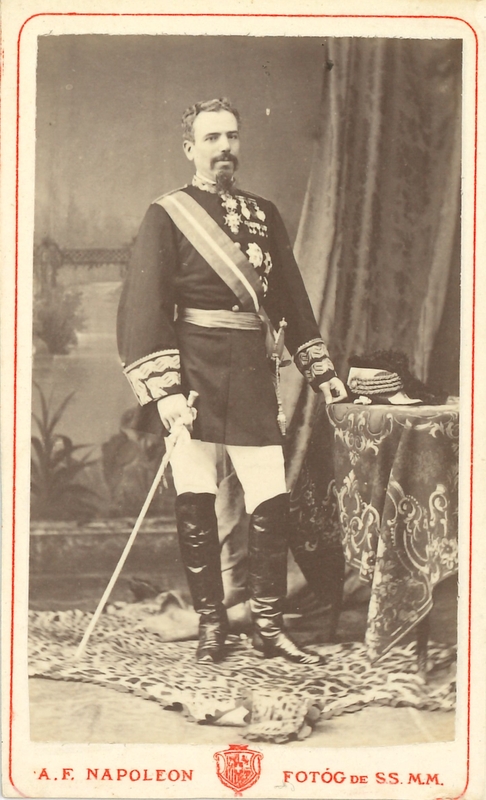 The format developed during the second half of the nineteenth century and was in use until 1920. 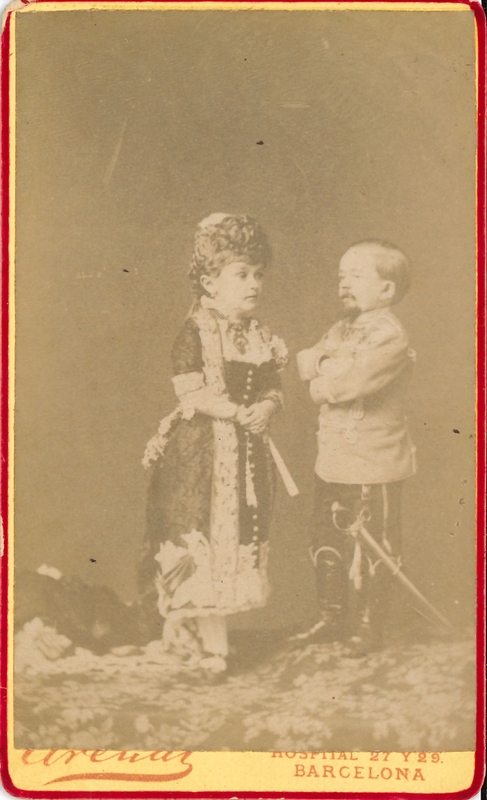 Its use, however, diminished after 1866 due to the appearance of other formats such as Cabinet, Victoria, Promenade and Mignon. 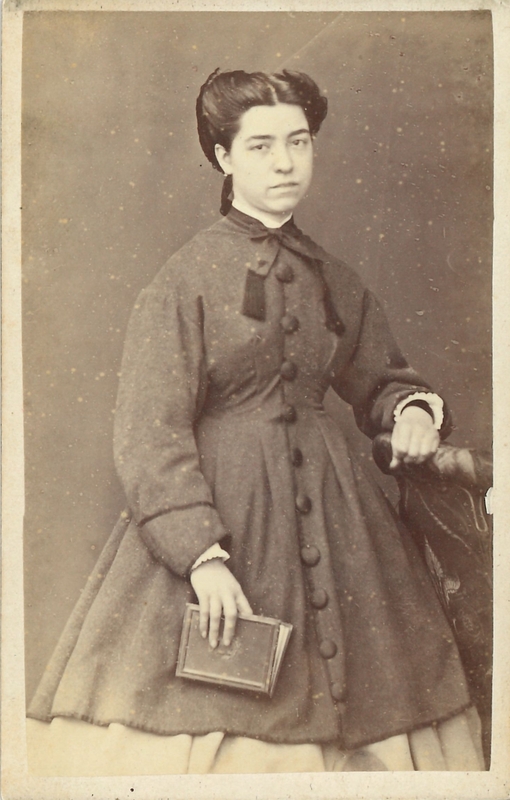 Cartes de visite were kept in albums that were shown at social and family gatherings and this gave rise to the fashion of swapping and collecting portraits in nineteenth-century society. In the library, there is a collection of 45 calling cards of unidentified people – there is no inscription or note to enable us to do so. We shall tell you about the size. 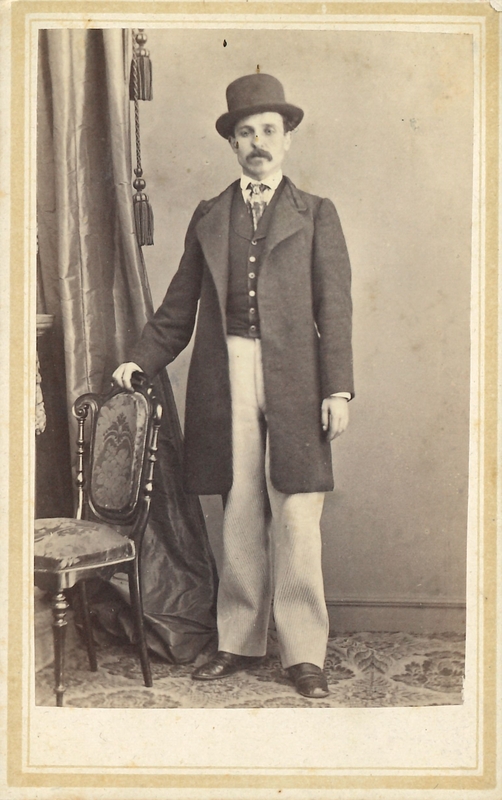 A carte de visite is formed by the positive copy of the image – on albumen paper – and a support. 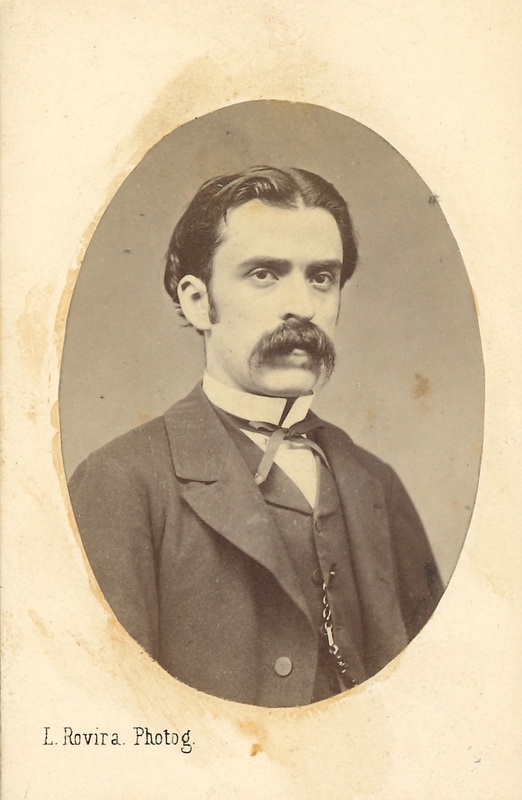 This is essential because albumen paper is low-grammage and has the tendency to curl up, so a rigid support is necessary to give it consistency. 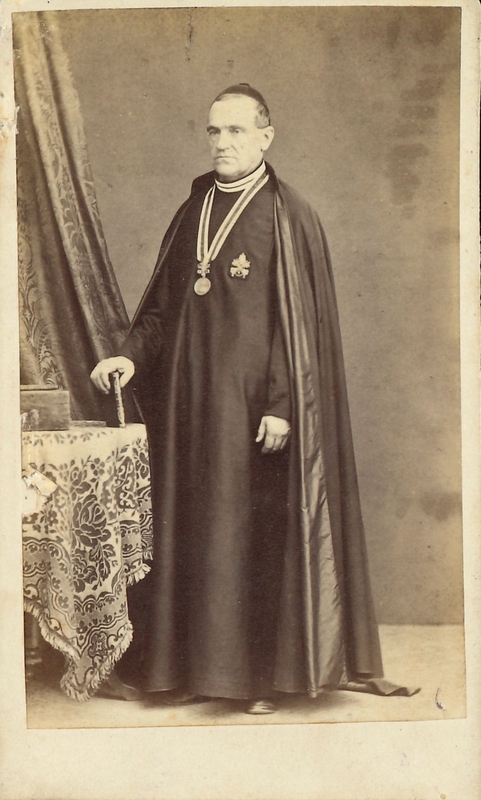 Cartes de visite were usually signed by the photographer on the front and/or the back. 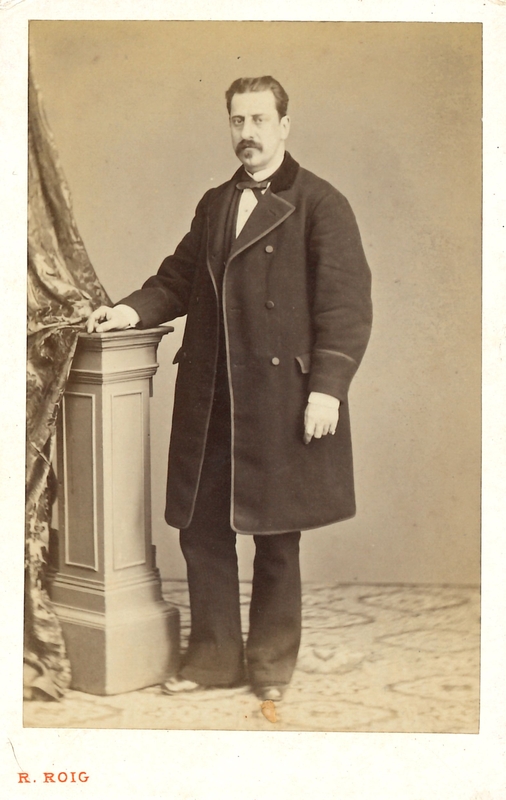 With this information, as mentioned in The museum’s collection of photographic portraits of artists, we can learn about the development and history of photographic workshops and also obtain information in order to date the images. 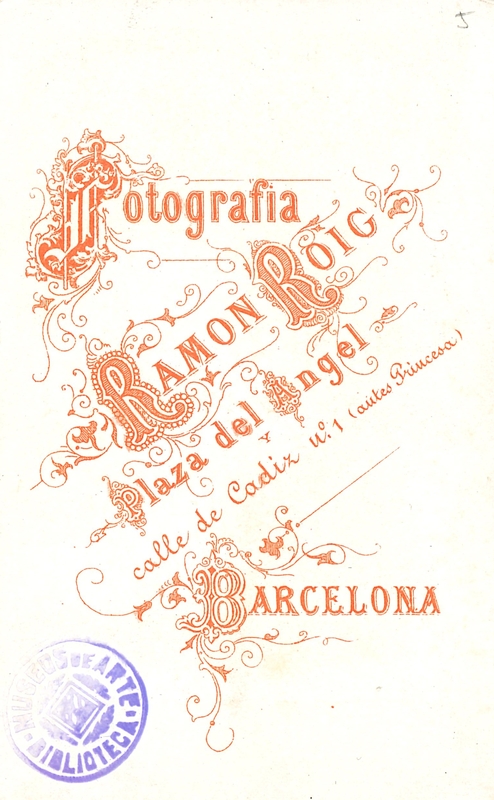 The photographer’s name appears, on the front in the first one and on the back in the rest. There is information about the city, the address, mentions and medals received, or technical and/or advertising information. The typography is varied and often seeks to create the idea of an image from the group of texts. 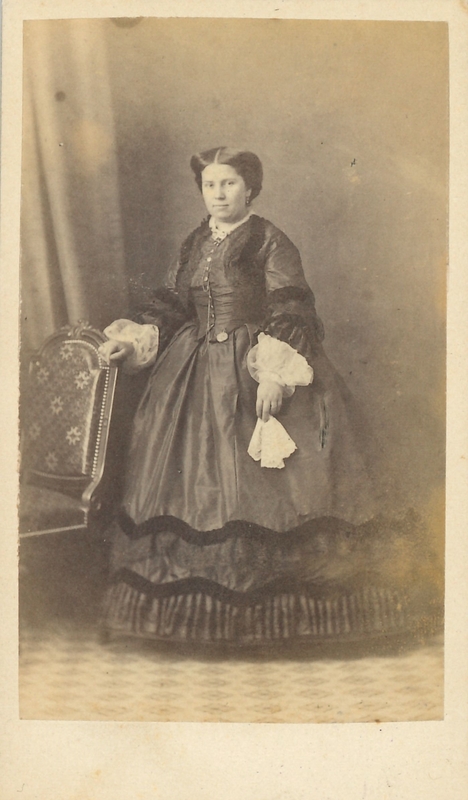 The most habitual portrait in this type of format is full length, but the three-quarter view is also frequent, as are busts inside circular or elliptical frames. The framing is vertical and the image centred. The way of posing was the prevailing one in painting, in both the position adopted and in the way of leaning. 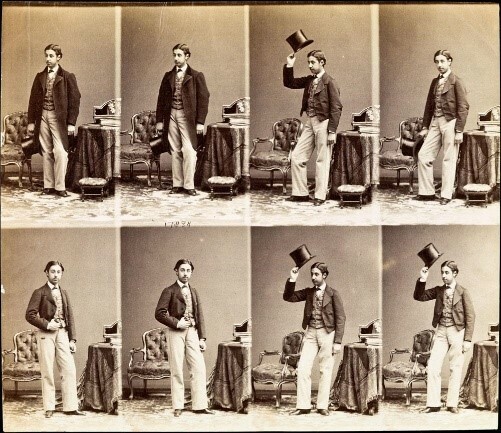 The expression is serious and solemn, sometimes appearing too stiff; attempts are made to counter this with certain gestural resources: holding a half-open book or a handkerchief, or with one hand in a pocket and holding a top hat. The choice of clothing is not made by chance and subjects pose dressed in their Sunday best or in clothes that represent their social role. 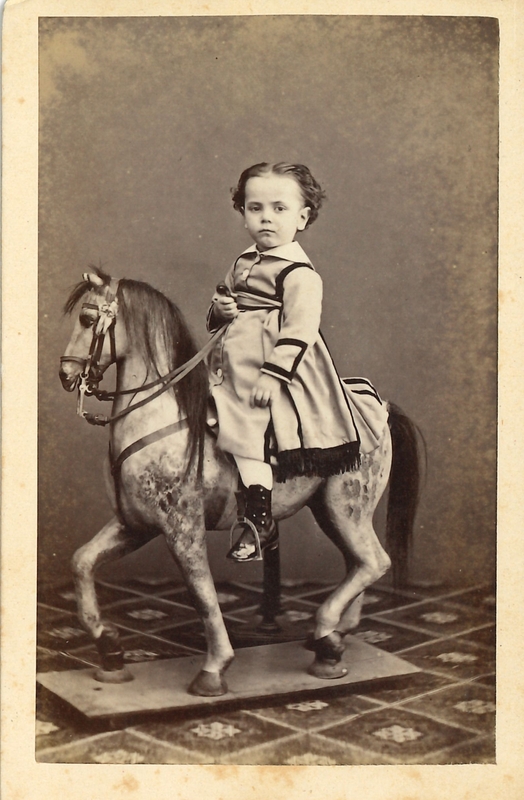 Occasionally, there are more light-hearted or eccentric photographs in which they appear dressed up. Depending on some of the elements used, scholars can discover who took the portraits and even date them. The most useful elements for this research are carpets, rugs and columns too (not so much the tables and chairs that could be bought in specialist shops or by catalogue). 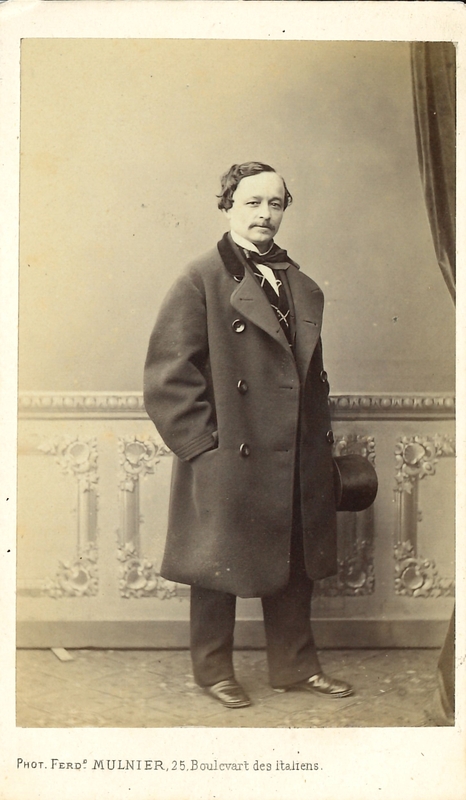 The portraits of the cartes de visite were taken in the photographers’ workshops. 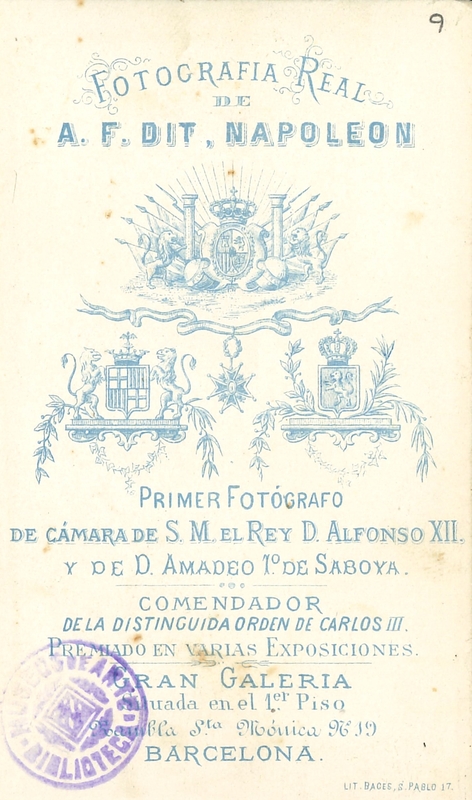 The ones conserved in the library were taken mostly by photographic workshops in Catalonia and Spain and, to a lesser extent, in workshops in France (Paris and Bayonne), Italy (Genoa) and Cuba (Havana). 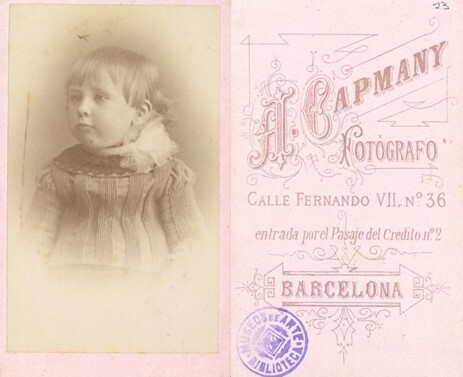 From Catalonia, we find photographs by the following workshops in Barcelona: Fotografía Española, Moliné y Albareda, Ramon Roig, F. Martí, M. Sala, A. F. Napoleon, M. Hostenc, Rafael Areñas, A. Capmany, A. Rodamilans, Cantó y Compañía, L. Rovira, G. Larauza, Emilio Morera and Establecimiento Fotográfico Franco-Hispano-Americano. 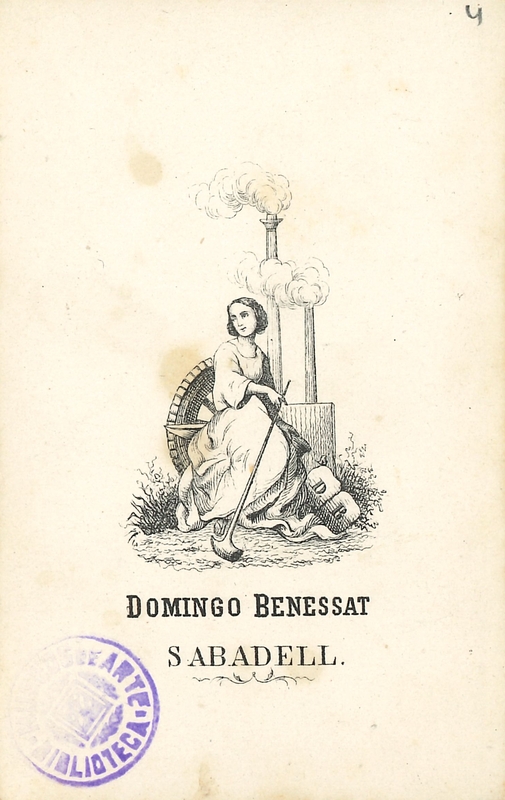 From the rest of Catalonia we have Unal and Marca (Girona), and Domingo Benessat (Sabadell). 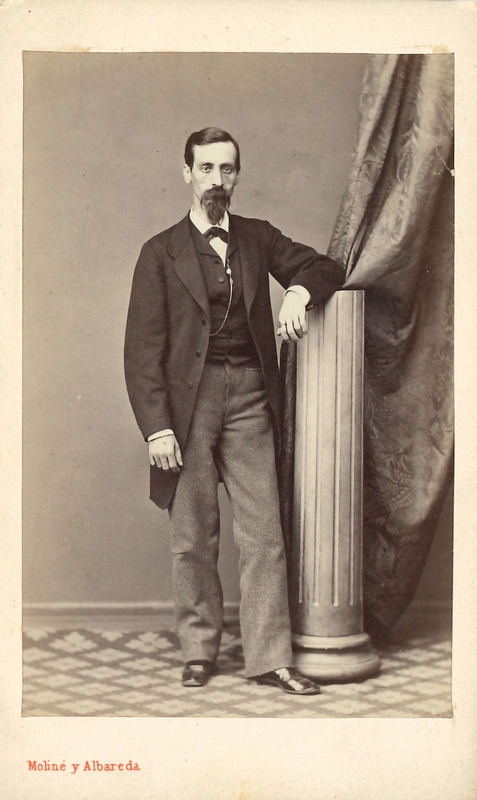 There are also portraits by Alfonso Begué, J. Martínez Sánchez, Q. Toledo, J. Gautier of Madrid and R. Banet of Cartagena. Looking at these cartes de visite it is easy to fall into the trap of thinking that the whole of society is reflected in them, but nothing could be further from the truth; they are only of people with a certain financial, political and social standing, and the lower classes of society are not represented in them.